Nature's Pearl--it's all in the name for this new collection from Kanvas. You need to see these fabrics in person to truly appreciate them. They have a sophisticated, pearlized effect, adding texture and shimmer to the designs. 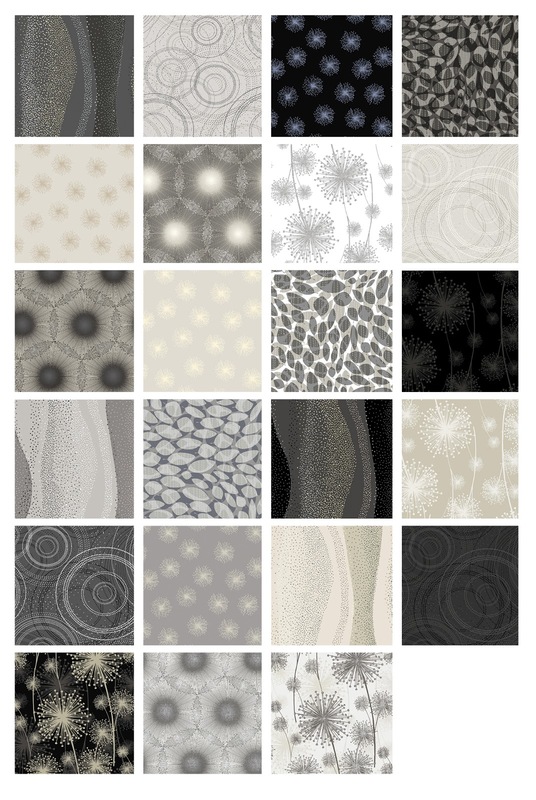 Swirls, dandelions, leaves and rings work together beautifully in a muted palette of grays, taupes, creams and blacks. 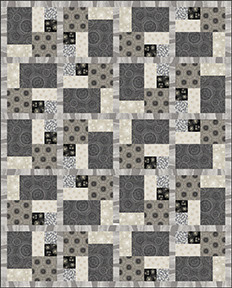 Use Nature's Pearl to create a subtle yet gorgeous tonal quilt like this "Vintage Tango" design, created by Heidi Pridemore. Click here to see the entire Nature's Pearl collection. I'm excited to see some gray prints...they are hard to find. I wasn't sure on how to incorporate the collection in a quilt, because it seems to flow or move a lot. Thank you for making one, it turned out lovely. I'm loving these prints, especially the dandelions. Very soothing. These are gorgeous - I already have some and they are luminous!! Just beautiful!!! Ooooooooohhh I am a HUGE fan of gray! Thistle's! How cool, and yes i agree it's about time for some "Grey's"
Finally something in a color pallet I like.